In this financially strapped times, it is sometimes worrying if you cannot plan a girl birthday party for your little one. But remember a great party is not made by excessive spend, it is made by great imagination, and the application and execution of the party theme. So how can Birthday Party Planning be done on a budget? When it comes to arranging a Girl Birthday Party for Teenagers it can be difficult. Teenagers are notoriously fussy, and depending on your relationship with your daughter, any ideas you suggest maybe instantly put down – as once you suggest them they are instantly considered, “uncool”. However, do not be put off. Sorting out a Girl Birthday Party for Teenagers can still be achieved quite easily and successfully. The key thing to a girl birthday party for Teenagers is to think about celebrating in style. Teenagers love style and making a statement, so it is important to combiner that style and statement in a theme that your teenager daughter is into. This can be music, sports, activities, skating etc. The major thing to consider is the number of people being invited, if it is a small number then something more intimate at home might be more suitable, but if there is a large number of guests, consider hosting outside the home, at a venue – skating is ideal for this. Here are some great girl birthday party themes and ideas to consider. A Make up and Beauty party appeals to the idea of girls pampering themselves and looking great. They can play with make up, and style each others hair. Consider getting in a makeup artists or beautician who could give them tips and advice and help do their makeup. Any trawl of YouTube will tell you that teenagers love “how to do makeup” videos on YouTube. You can extend this theme even further, and make it a model/photo-shoot party, with them all getting their hair and makeup done, and then having professional photographs taken. This will give them all something to take home with them. Nail parties are also very popular, when you can get in a manicurist to do manicures and pedicures. Girls of all ages love being pampered, so for the more glamorous teenage daughter, this can be an ideal party. Programmes like American Idol and X-Factor are big business, so a karaoke party could be a great idea. This can be either hosted in the home, or at a Karaoke Booth, where drinks and nibbles can be provided. A lot of games consoles like the Wii and Playstation 3 have karaoke type games, or you can hire in your own karaoke machine. Why not organise your own little talent competition. Singing is a great ice breaker, and is always a lot of fun. Some teenage girls are into arts and crafts, and love scrap booking. This is a massive past time and very popular. So if the person you are planning the birthday party for loves her arts and crafts and scrap booking, why not a scrapbook party. This is perhaps more ideal for the more intimate and smaller guest list party. You can source loads of materials from an office supplies or scrap-booking store (Hobbycraft is a good place). Make sure the invites are “homemade” to just add to the theme. On the invites ask that people provide the pictures and items they want to scrap book. You can then provide all the pends, glue, glitter and other elements essential for scrap-booking. Once again, the beauty of this, is that everyone will have something to take home with them. Ice skating is a popular with a lot of girls, and suits all ranges. Find out where your local ice skating rink is, and whether they do party bookings. You may find that they provide a private space and extras like food and drink, and offer better value than just booking a individuals. Depending on the size of the guest list, some rinks may even hire out the whole venue for a period, making the party guests feel less intimidated. Roller Blading can be done in the park (weather permitting) and you can often hire a tutor or coach who will help the girls learn to roller blade, or improve their technique. This means no one is left behind, and their is someone to help all standards. If in the local park, then you can organise a party picnic to go with the event. 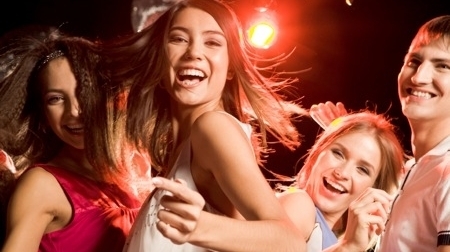 Teenagers are often portrayed as being difficult, but if you empower the teenager into feeling she has some stake in the decisions being made, or even have her help organise it, then the party will feel more like “her idea”, and the birthday party planning will prove far more successful and she and her friends will have a lot of fun. Girl Birthday Party Ideas – Where To Start? When it comes to Birthday Party Planning, it is always fun. And never more so than when it comes to planning a girl birthday party. With a girl birthday party there is always a real opportunity to let your imagination fly and give a brilliant birthday bash. Kids love to celebrate, so why not plan something special for your little girl. You can find ideas from everyday influences around the room. Girls love dolls, so why not have a Dolls party – or, even a Barbie Party! Barbie Parties are very popular themes for a girl birthday party. You can dress the room in pink, the guests can bring their Barbie dolls, favor bags can consist of small Barbie presents like pencil sets, pretend jewellery, which can be picked up quite cheaply at your local toy shop of supermarket. So, just by looking at the dolls or toys your little girl is in to, provides loads of opportunities for ideas. So here are a few ideas for starters, remember, with all of these think through the whole birthday party planning from invites, party games, party dressing, party food, favor bags etc, – these are all areas than can be themed. Look, the list and ideas are endless, and you can do this economically or get in professionals, there is something for every budget, and all are as equally as good. Never try to keep up with the last party your little girl went to in spend. Top it in imagination and fun.